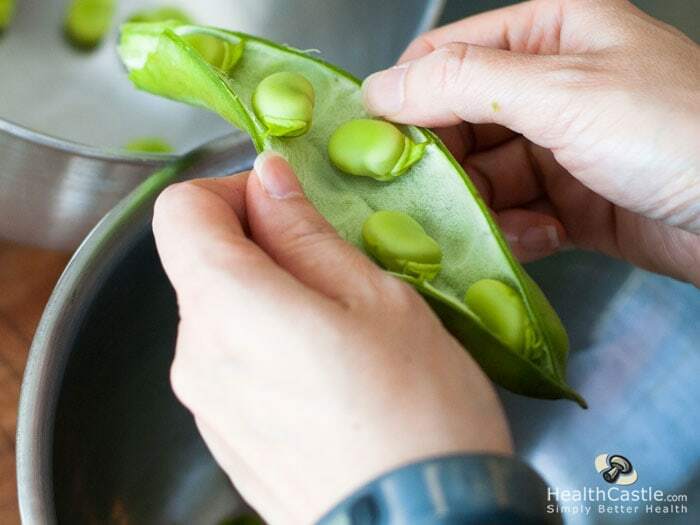 Fresh fava beans are in season during springtime, and because they start to deteriorate once picked, they must be prepared and enjoyed soon afterward. We recently purchased a fresh batch of fava beans and after all the work involved in prepping them for eating, decided to share how to cook them. Pre-Soaking Requirement: None for fresh beans. Dried legumes typically do require some pre-soaking. Fill a large saucepan with water and bring to a boil on the stove. Also prepare a separate bowl of ice water for blanching the beans and set aside. Shell the beans, that is, remove the beans from their outer pods. Once water starts to boil, add a tablespoon of salt. Add the shelled beans and let boil for 3 minutes. Remove the beans and immediately plunge them into the bowl of ice water. Let the cooked beans cool, then peel to remove the whitish skin covering them. ​Resulting Yield: ​Depending on size, yield close to 2 cups. Once shelled and blanched per the instructions above, you can simply sautee them in a bit of olive oil and garlic for a few minutes.